The GO 2 DANCE Company once again presents its show 'De Cuba Soy', a journey through the essential rhythms of the Caribbean island. With the rhythm of the Rumba, the Son, the Mambo, the Bolero, the Timba, among others ... you will enjoy the energy, the flavor and the joy of Cuba. 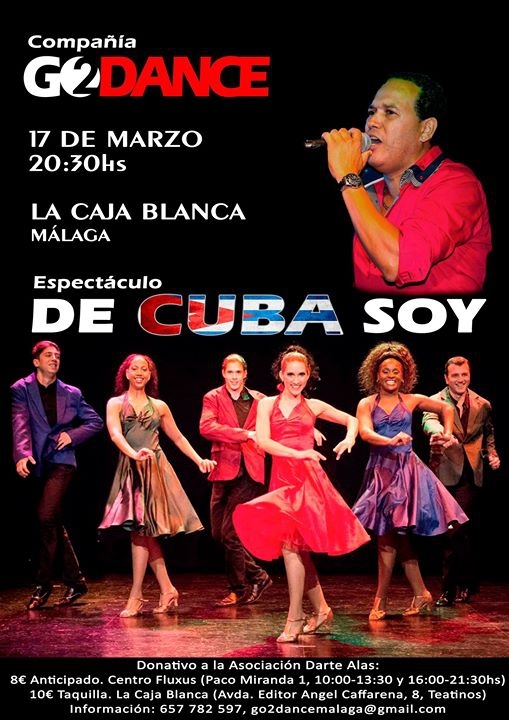 Enjoy this unique show in Andalusia, directed by Cuban dancer and teacher Arlene Martínez, and with the special participation of singer Yoel Barz (Los Locos de La Habana).